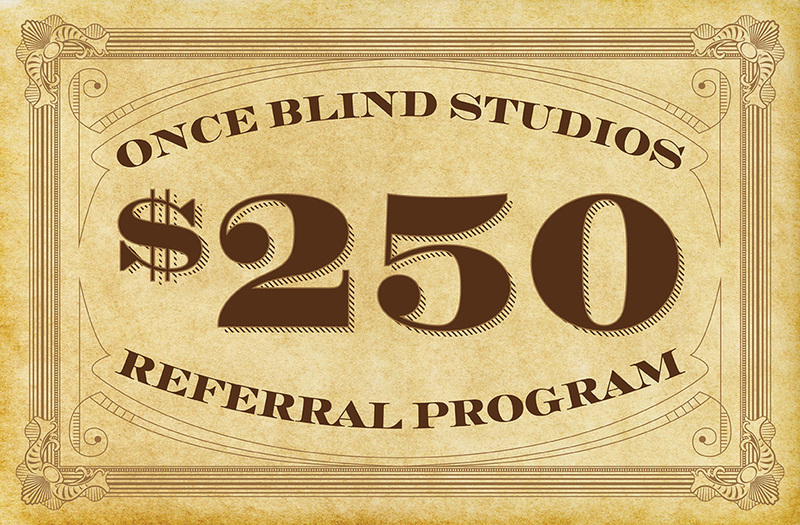 Hey everyone, we have a new referral program. Refer us to anyone needing branding/graphic design work, commercial photography, or web design, and if that results in a new client for us, you get $250 worth of goods or services! 1) Know someone needing a new logo or brand refresh? Or maybe photo and design help with creating a product catalog (or any print design)? How about a new website? Tell them about us, and then let us know you did that. 2) They contact us for a meeting, and if they become a new client (and tell us that you referred them), we contact you to find out if you want design services, products, or a combination of both. We are trying to make more connections in our new city. So, if the new client is in Nashville, that amount goes to $300! We’ve always said that our satisfied clients (and others who have seen our work) make the best sales team, and our growth is almost exclusively from referrals, so this is just another way for us to thank everyone who spreads the love. We can’t wait to see who you send our way!